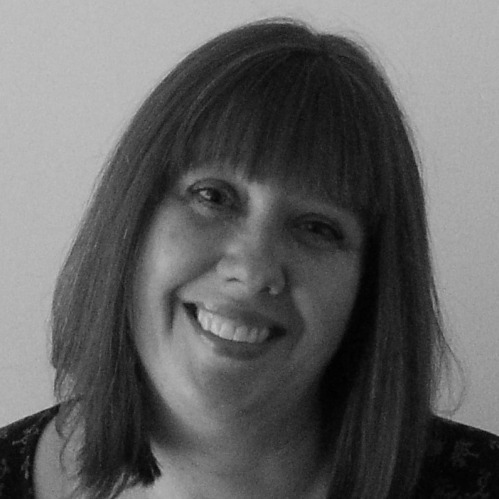 Today I have a card that I shared over on my Instagram and Facebook pages a few weeks ago, and it got lots of lovely comments, so I thought it would be worth sharing with you here too in case you didn’t see it there. It’s a birthday card, because you can never have too many of those. And I made use of some scraps again. I shouldn’t really call them scraps, maybe little pieces of art would make me feel better! Suffice to say, they are things that I made that I didn’t use at the time but I eventually thought of a way to use them. 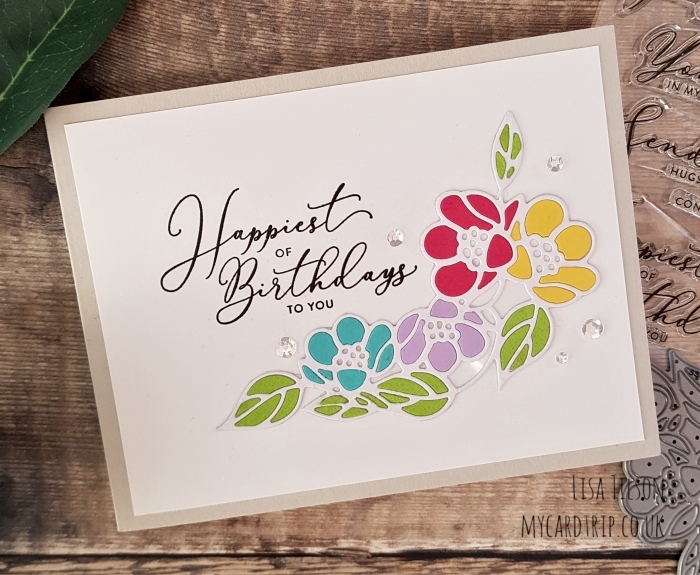 I actually created this Flower Cluster die cut earlier last year and was going to use it on my release card for Simon Says Stamp’s Sending Sunshine release but another crafter did something similar with it so I had to abandon it! And it has sat there all that time. To create it, I took a piece of Neenah 80lb and put some Stick It adhesive on the back. I then ran it through my die cut machine and adhered it onto an acetate card base. I found a bunch of Spring coloured cardstocks and ran the die through with all of them and then set about piecing them into the flower outline. I used wet adhesive to stick them in, a bit tricky on the little green bits but it worked out in the end. Once I had finished the jigsaw, I then trimmed the whole die cut from the acetate card base with scissors and adhered it onto a new white panel which I had trimmed to mat onto an A2 side folding Fog card base. So as it has a layer of acetate it sits up slightly from the panel but not as much as it would have done if I’d have used foam tape. 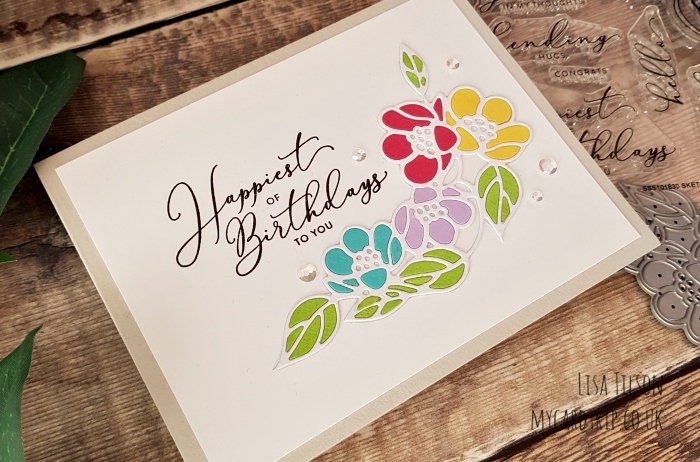 I took a sentiment from SSS Sketched Flowers and stamped it using Versafine Onyx Black and then added a few sequins to finish the card off. Isn’t that scripty font so beautiful? I wouldn’t normally do die cut inlay this way. I would normally just adhere the die cut onto white cardstock and piece the bits in, but as it was on an acetate base I went with it, and it worked out just as well. That finishes today’s card for you, and I hope you have a wonderful week. I will be back soon with another project for you. Happy crafting!